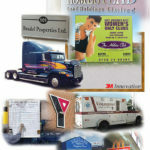 1 Stop for all your sign needs as well as Installations! 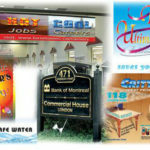 From start to finish we work with the customers to ensure that they will love the signs they get from 1 Hour Signs. 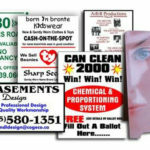 Competitive Pricing, using the best materials! 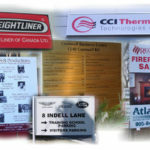 1 Hour Signs is located in the industrial area of Oakville. We are very accessible and easy to find. 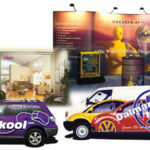 In our exceptionally clean back shop we are able to install Vehicle Graphics all year onto any Vehicle! 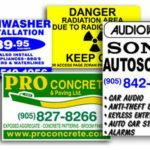 1 Hour Signs supplies high quality white backed aluminum sign blanks with rounded corners and pre-punched mounting holes. 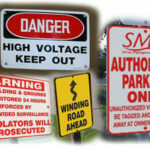 These signs are rust resistant and are manufactured to withstand all outdoor environmental conditions. Standard stock sizes include 9″ x 12″, 18″ x 12″, 24″ x 18″ & 24″ x 24″ custom sizes can be ordered in to complete your special project. 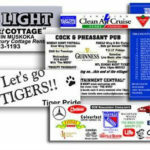 Layouts are created to present your individual message and can include your corporate logo to personalize your business message.